Amazing news: Domino's will soon release a gluten free pizza available at more than 5,000 locations! I know that for some time Domino's has offered gluten free pizza down unda in Australia, but this will be the first time that Domino's will offer the pizza here in the U.S. I'm ecstatic with the news. Every Friday night my family would order pizza and would rotate who chose the provenance of the pizza; when it was my choice, the choice was always Domino's. I can't wait to have access to Domino's certified gluten free crust. Take note that the pizzas will not be made in gluten free ovens, so cross-contamination is a possibility. Hopefully Domino's will see that the gluten free market is a large one and will eventually transition to gluten free ovens. From the corporation's official website: "Domino's pizza made with a Gluten Free Crust is prepared in a common kitchen with the risk of gluten exposure. 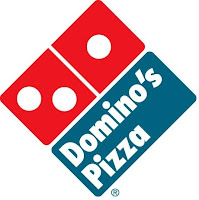 The National Foundation for Celiac Awareness supports the availability of Domino's Gluten Free Crust, but CANNOT recommend the pizza for customers with celiac disease. Customers with gluten sensitivities should exercise judgment in consuming this pizza." Answers to further FAQs can be found here. I can't find information on when this crust will be released, but I will update the post when I have more info. I'm a film student and a lot of times I help classmates on their film projects and when it comes to craft services, it can get pretty tricky. They usually order pizza!